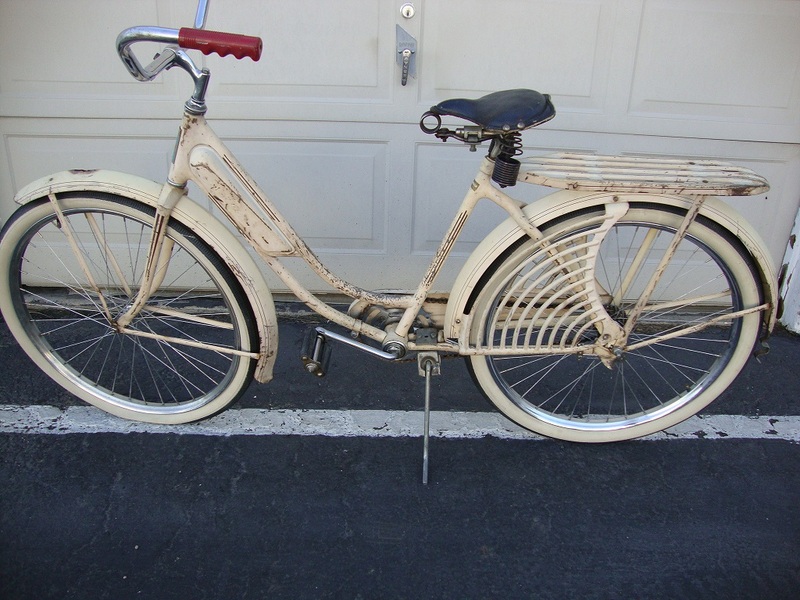 This is a nice, mostly original bike in an uncommon all-white color with pinstripe accents. 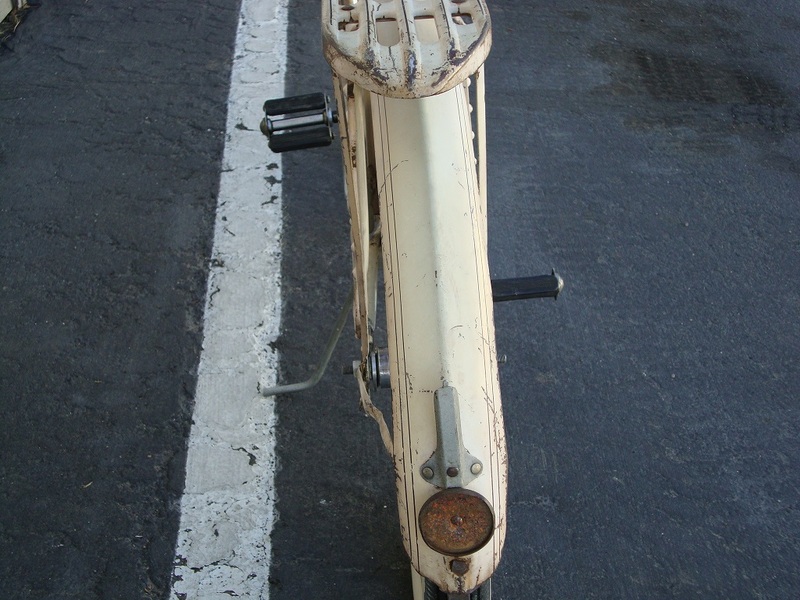 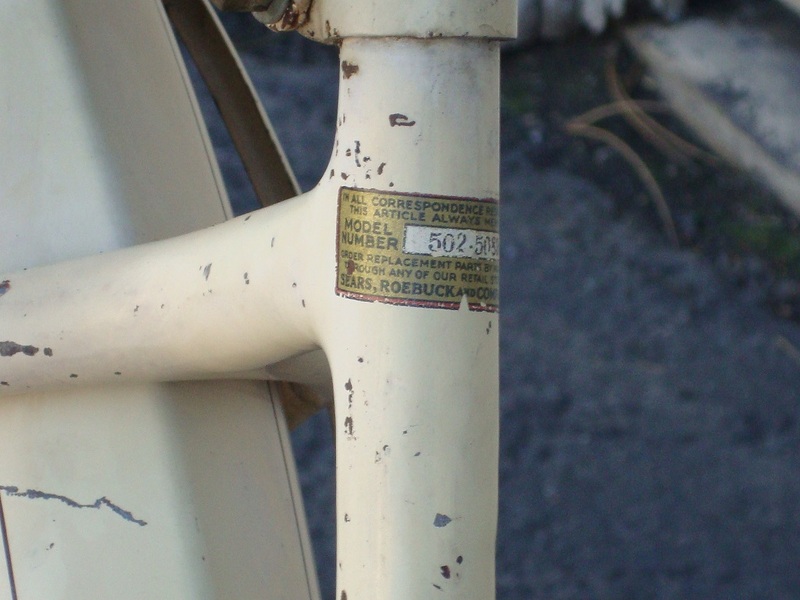 Kickstand, handlebars, stem and grips are not original, and the headlight is missing. 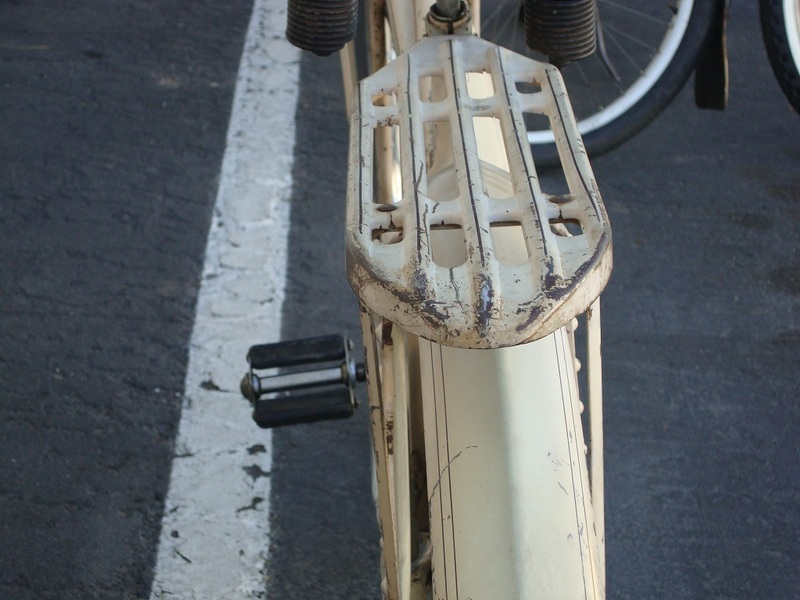 The rear fender has a bracket riveted to it that used to have an aluminum tombstone shaped reflector attached. 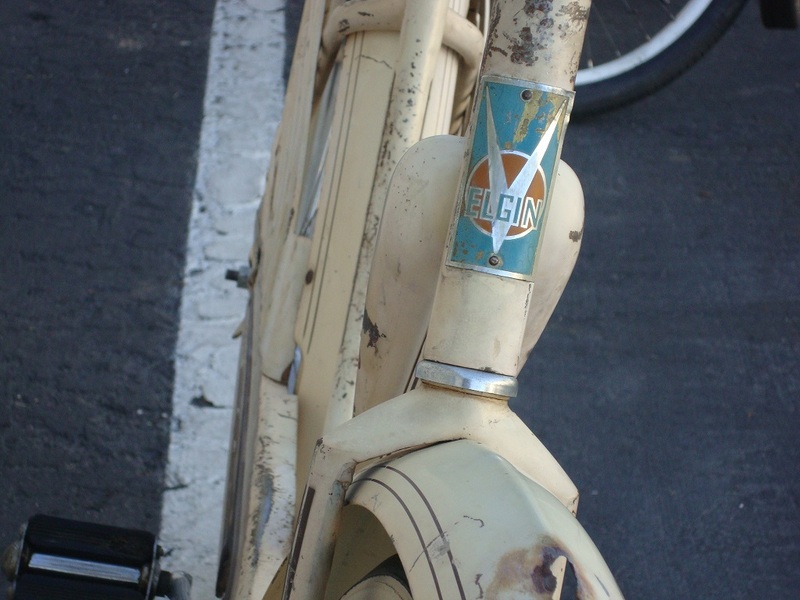 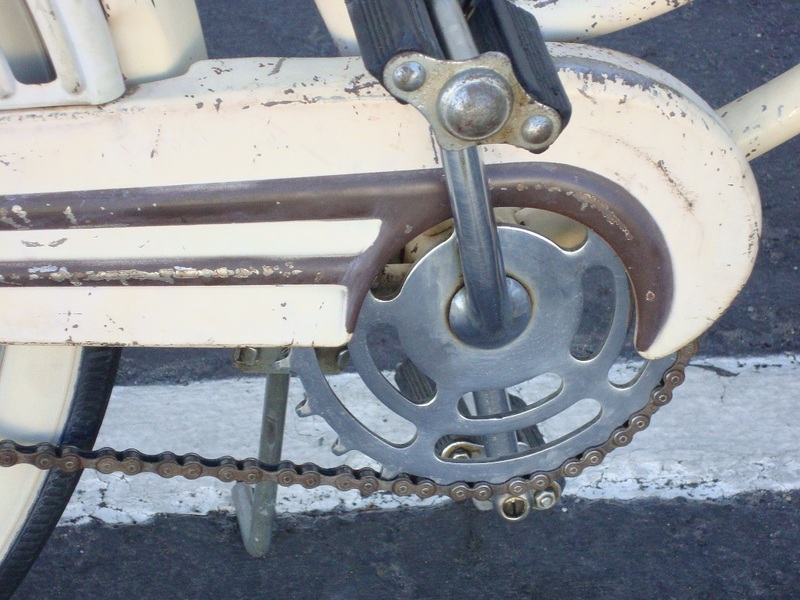 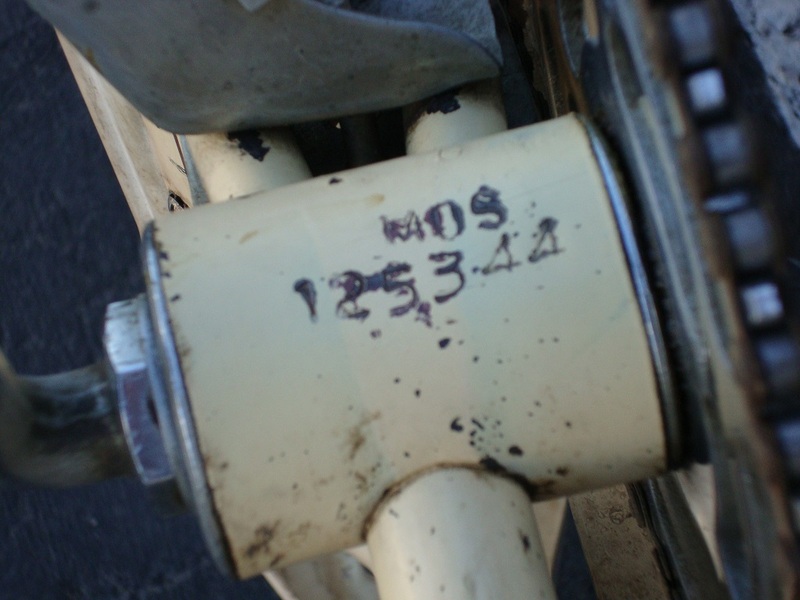 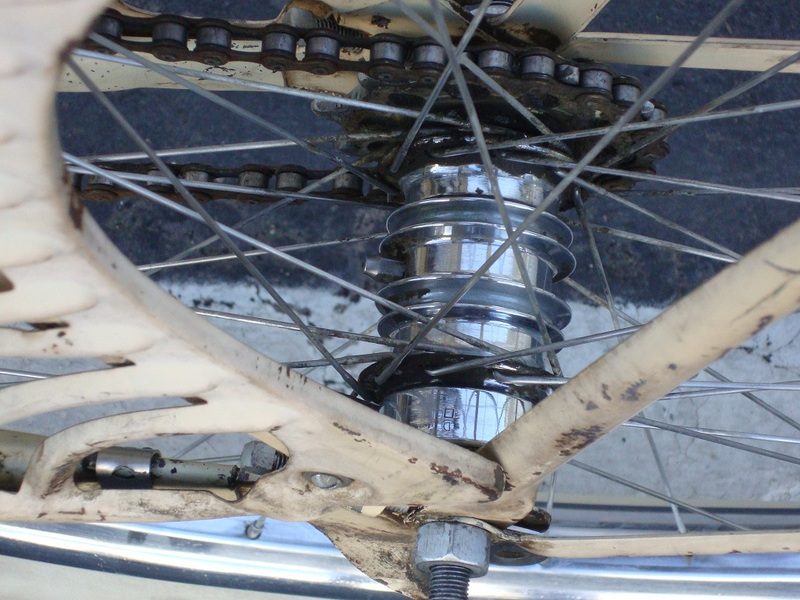 These are often missing, as is the case with this bike. 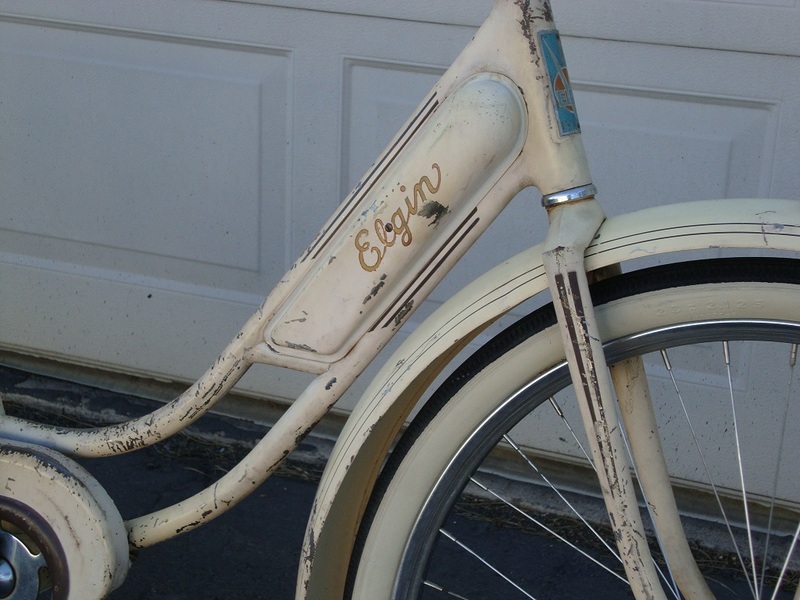 With a few common parts corrected, this will be an excellent example of a 1939 Sears Elgin ladies bicycle.